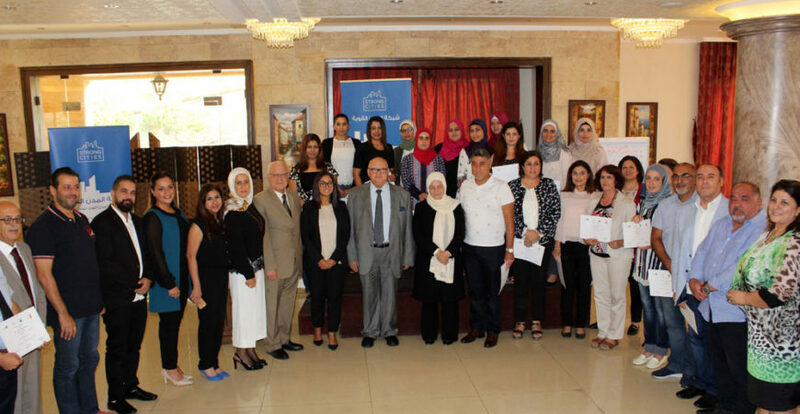 Lebanon: Saida’s Strong Cities Community Prevention Network concludes their PVE Teacher Training in the presence of Mayor Seoudi and Head of Parliamentarian Committee for Education, MP Hariri. As part of its 2018 series of activities, the Strong Cities Community Prevention Network of Saida delivered a Teachers’ Prevention of Violent Extremism training to 28 participants from the Saida area in southern Lebanon. In coordination with the Saida School Network, the six-day training brought together teachers from public and private schools, representing Saida’s diverse social fabric. The training was facilitated by trainer and Community Prevention Network member Jean Makhoul, who engaged participants in stimulating discussions around local push-and-pull factors and early warning signs of radicalisation to better reflect realistic and local solutions to violent extremism. A focus on youth and children allowed participants to build PVE skills tailored to schools and to be better equipped to face new challenges related to violent extremism. The Strong Cities Network hosted the training’s closing event in the presence of the Saida Mayor Mohamed Seoudi, who supported the project from its inception, and Member of Parliament and former Minister of Education, Bahiya el-Hariri. MP Hariri emphasised the continuing engagement and alignment of the Strong Cities Network with both the National PVE strategy and the newly established PVE Unit under the Council of Ministries.